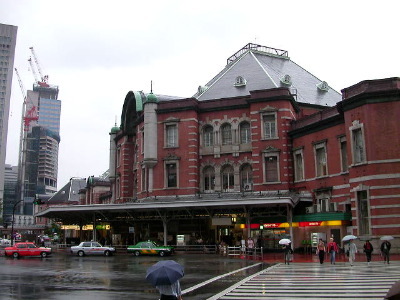 This is also Tokyo station, note the similarities to the previous picture. This side has the main post office, which does not sell postcards, at least that is what I was told... It is also the side where the cabs are. Some other side has the buses. Note Tokyo station is so big the weather often changes while you walk to the other side.